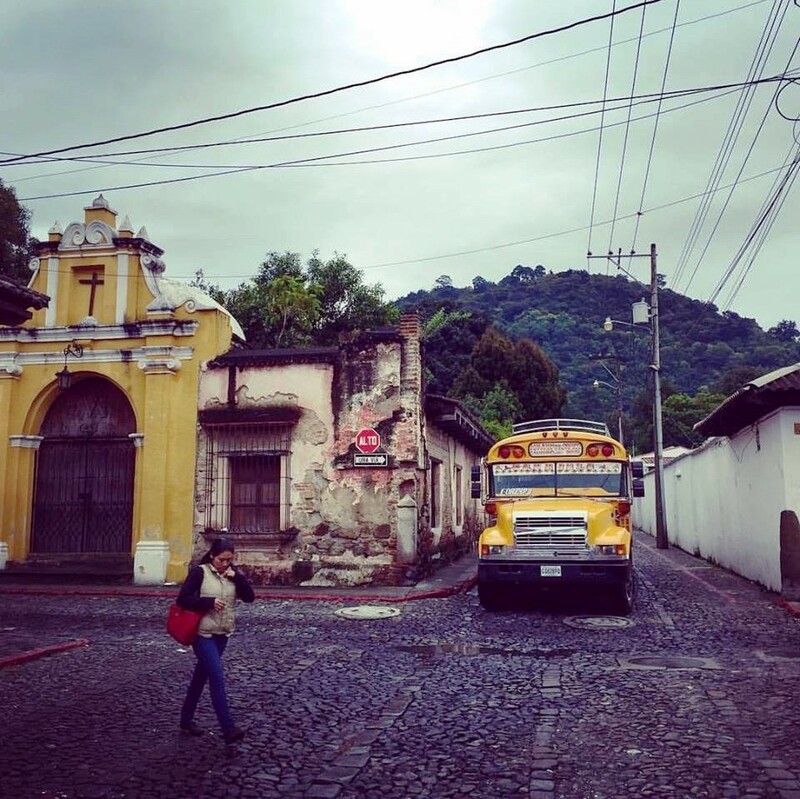 This October was my first trip to Central America and to Guatemala the heart of the Mayan World. 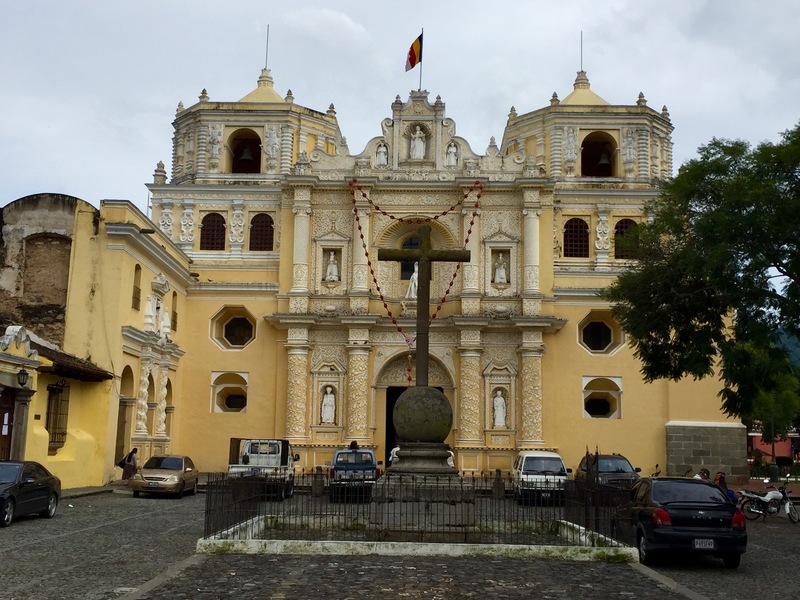 I landed at La Aurora International Airport and thereafter for a quick city tour of the capital – Guatemala city. 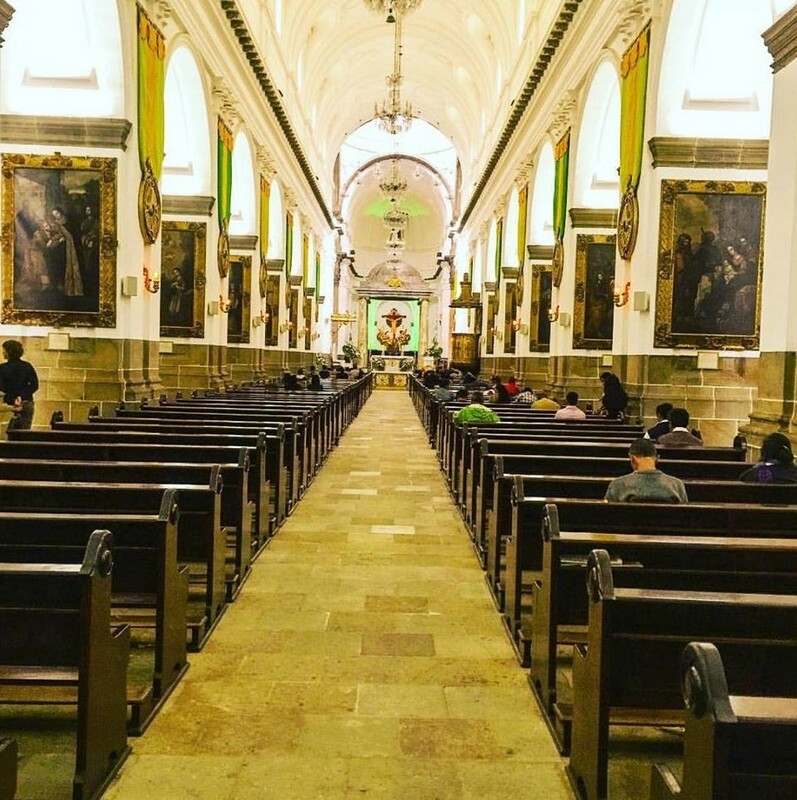 Guatemala is a year round destination and comprises 7 diverse regions in a country which is about 1/3rd the size of Maharashtra, with the largest province of Peten in the north bordering Mexico. The Plaza de la Constitucion is one of the main squares in Guatemala city with the colonial government headquarters on one side and the metropolitan cathedral on the eastern side. The square itself was busy with shoeshine boys, ice-cream vendors and local food on sale on the square inspite of the light drizzle , as it was the end of the wet season. 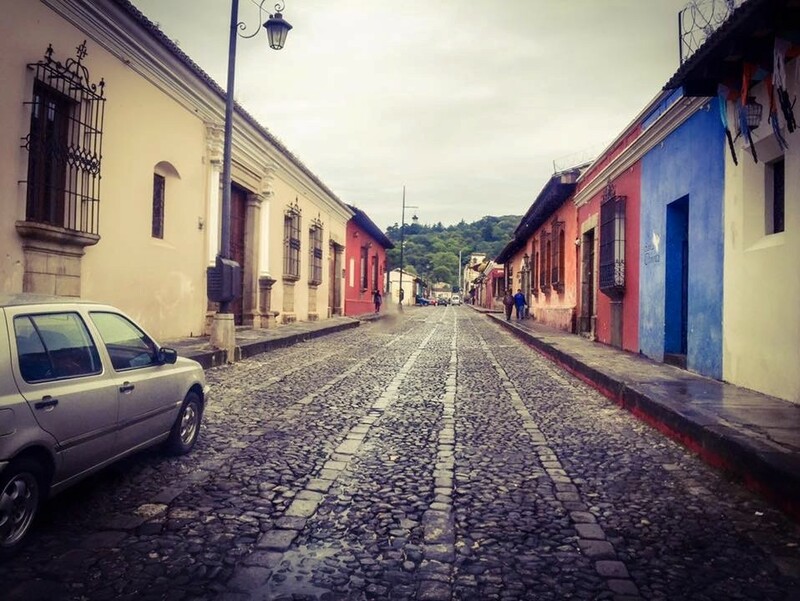 Guatemala is a year round destination with the dry season from November until April followed by the wet season from May that ends in October. For the Indian travellers visiting friends or relatives in the US, it is a perfect getaway as it is just a 5 hours flight from Newark and Indian guests with a valid US or Schengen visa do not need a visa. 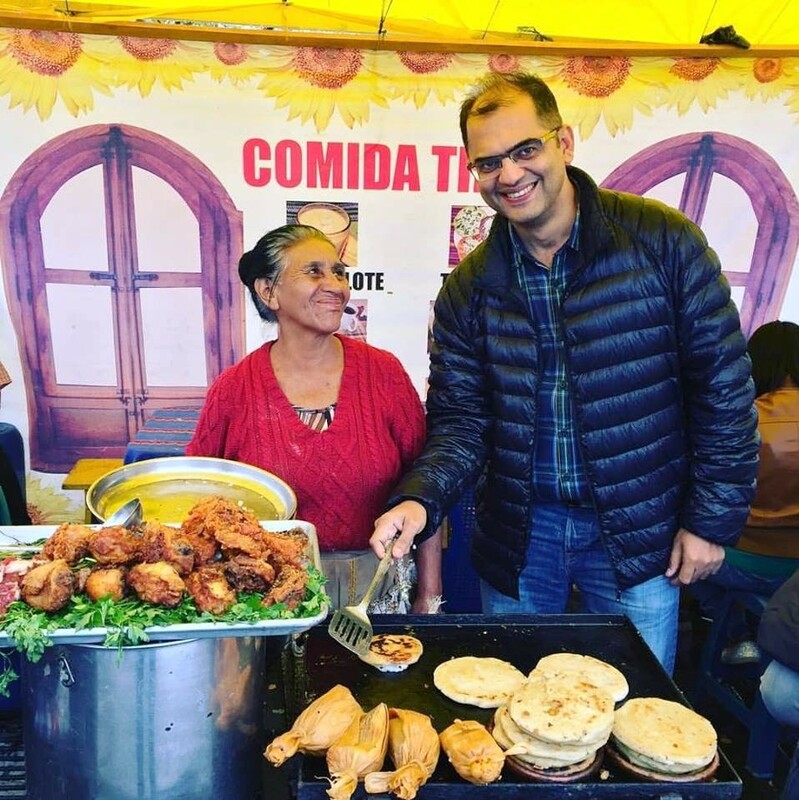 It is the people that make the place and the warmth, hospitality and smile was visible as I stood alongside a street vendor who was preparing tamales – delicious pork or chicken with spicy salsa freshly prepared in steamed banana leaves. I was privileged to be the only delegate from India to be welcomed at the Miraflores Museum by the Guatemala Tourism Board that evening and with a Marimba band playing in the background. Museo Miraflores is an archaeological museum dedicated to the display of artefacts from the ancient Maya city of Kaminaljuyu and is located in the area where once the Maya city existed. Next morning we boarded the 33 seater SAAB aircraft to Mundo Maya International Airport and in less than 70 minutes we were in Peten, known for its archeological richness and sites. We were received by Benedicto, our Mayan guide and boarded our bus to head towards Yaxha National Park – our first stop of the day. Yaxha comprises of the words Yax and Ha where Yax stands for green or blue and Ha for water. 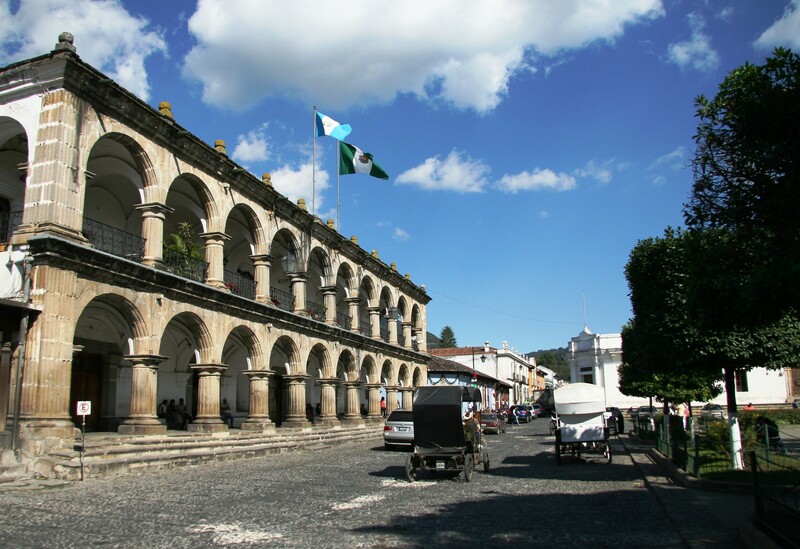 Yaxha has four beautiful buildings which were built by the Mayans between two lakes and when the sky is grey, the lake is green and when the sky is blue, so is the lake. The lake has big Mayan crocodiles. Yaxha is a large Mayan site with over 600 Mayan buildings that were discovered by the archeologists and comprise of carved mountains, a quarry and artificial waterways. Founded around 800 BC atop a long, limestone ridge, the city was home to more than 40,000 people at its peak, around 250 AD. Yaxha is also an astronomical centre since 600 BC. The Peten province itself is part of the Mayan lowland with a maximum altitude of 300 metres above sea level and its lowest point being 127 metres above sea level. The entire region is at the base of the Yucatan Peninsula and the limestone rocks found here are similar to the rock formation in Chichen Itza, Mexico. The Peten province is just 30 miles from the Mexican border. At the entrance of Tikal we made a short stop at Puerta de Yaxha to get our first of the many coffee breaks of our trip. 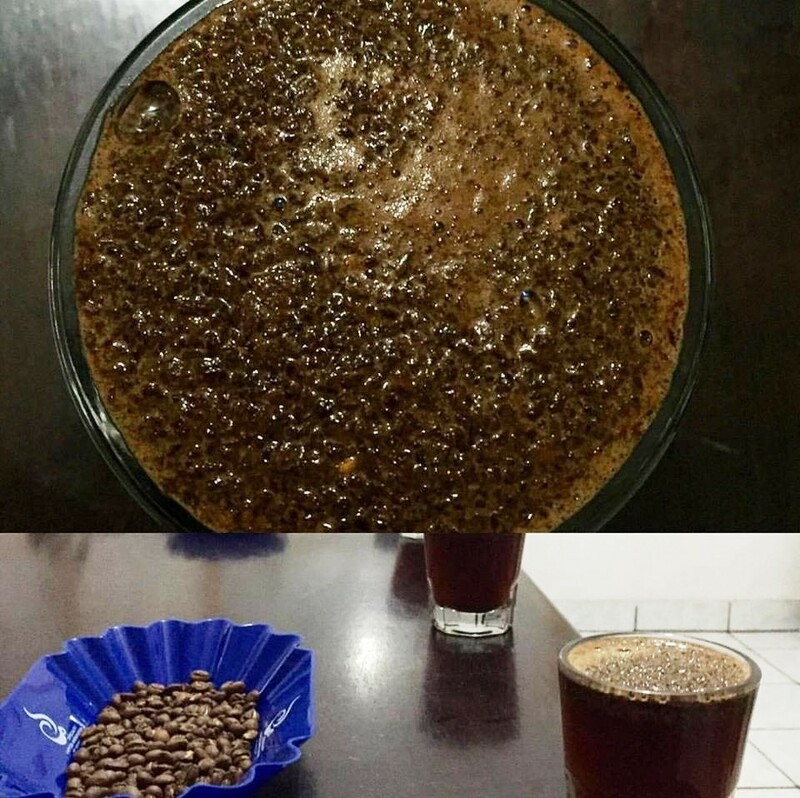 It is not surprising that both tourism and coffee exports are leading industries. 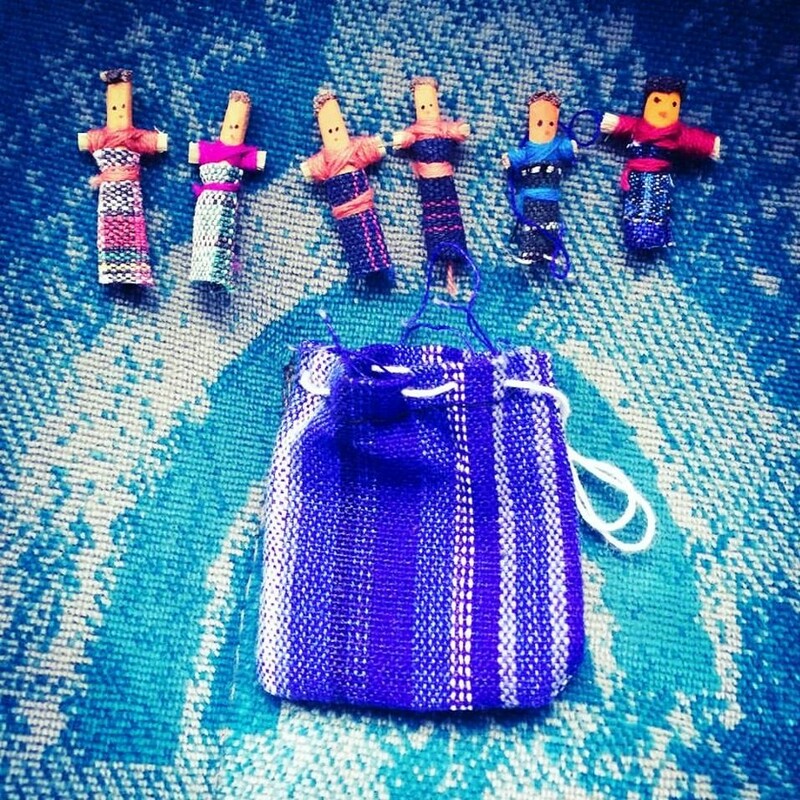 Guatemala worry dolls – according to legend, Guatemalan children drive their worries away by placing dolls at night under their pillow when they go to sleep at night. In the morning, the dolls take their worries away. 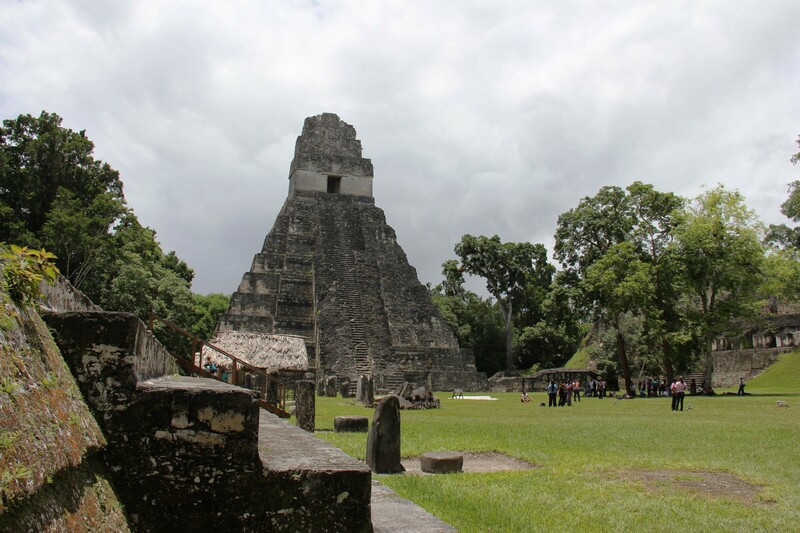 Tikal – featured in the famous Hollywood blockbuster Star Wars IV – A New Hope. The Temple of Gran Jaguar is the most photographed monument in Tikal. Our next stop was the capital of the Mayan world – Tikal which comprises over 3500 buildings with the Temple of Gran Jaguar being the iconic pyramid in Tikal. It is one of the largest archaeological sites and urban centers of the pre-Columbian Maya civilization. In 1979, Tikal was declared a UNESCO World Heritage Site. The highest Temple is Temple IV which was built by the Mayans using 2800000 cu.metres of limestone. Tikal, formerly known as Motul translates as the place of voices and the acoustic here at the main plaza is truly exceptional. The clapping of the hands brings back an echo effect which resembles the sound of the Quetzal – the national bird. The currency of Guatemala is named after this exotic bird. After a sumptuous lunch at El Meson located in the Tikal National Park our next stop was near the second largest lake of Guatemala – Peten Itza, in Flores. Peten Itza lake comprises of 5 species of turtles, 24 species of fish and a specie of crocodile and a cruise along the lake is must for avid bird watchers. The Pescado Blanco or white edible fish is a must have in Peten Itza. For vegetarians, Peten province offers corns, beans, avocado and papaya. three volcanoes – Aqua, Fuego and Acatenango. Guatemala is home to 33 volcanoes of which 3 are active including Fuego and Pacaya volcanoes both of which are in driving distance for Antigua, which is a perfect place for day trips in the region – be it for cycling expeditions, coffee plantations or even to hike up a volcano. Antigua was declared a Cultural Heritage by UNESCO in 1979 and one of the best times to be here is during the lent season where the streets are ordained with handmade sawdust carpets – a tradition that is followed for over 100 years during Semana Santa and colourful people lead the procession alone the cobbled stoned streets of Antigua. 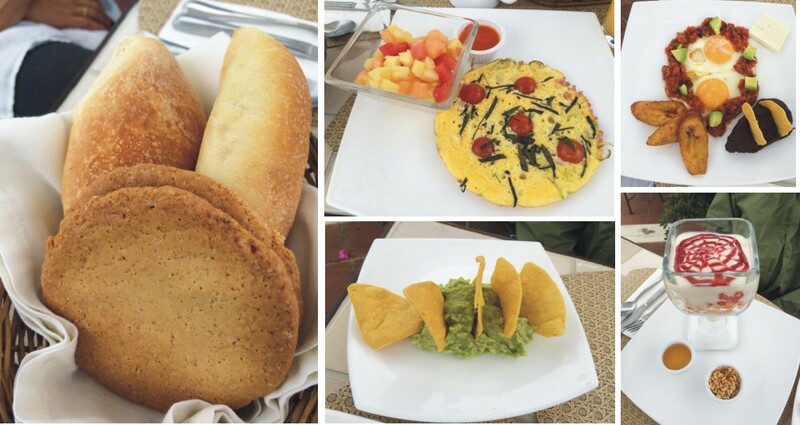 One of my personal stand out experiences of Antigua was enjoying a sumptuous Guatemalan breakfast on the terrace rooftop of Los Pasos and seeing the Fuego volcano smoking not too far away from the city. 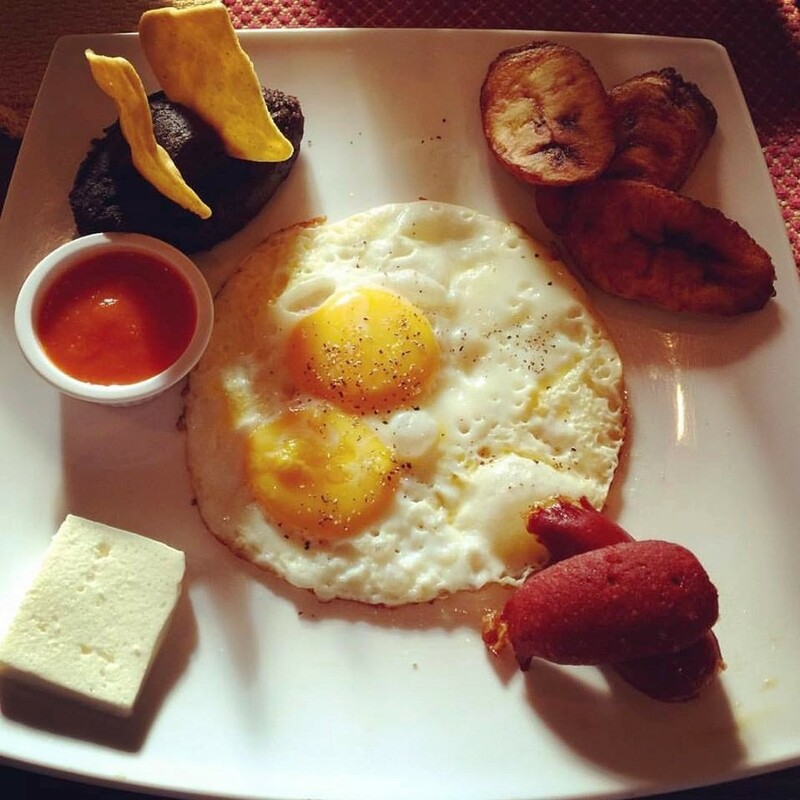 A typical Guatemalan breakfast comprises of eggs, black beans, sweet fried plantains, thick Central American Style cream and handmade tortillas – a wholesome meal followed by a cup of Guatemalan coffee. 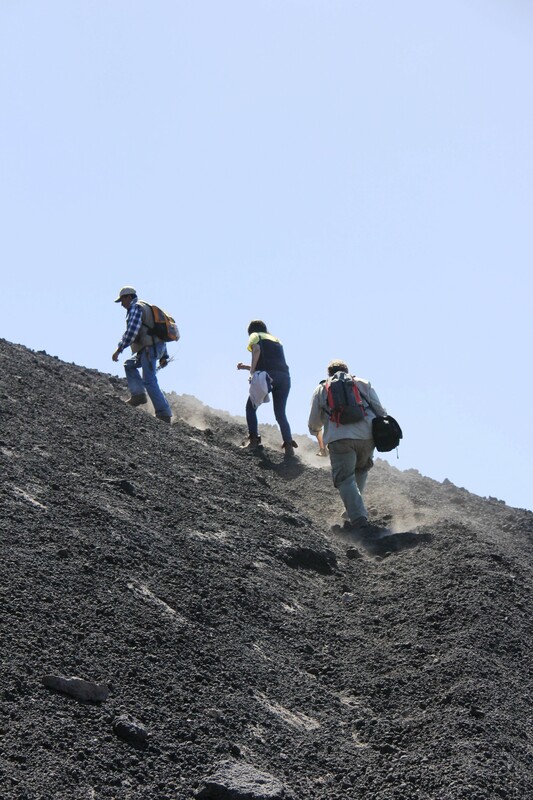 Another stand out experience was the night hike up the Pacaya volcano which is less than 90 minutes drive from Antigua. The short hike comprised of a picnic dinner and one can heat the dinner in one of the 16 craters that you find up this volcanic mountain. Pacaya is an active complex volcano which rises to an elevation of over 2500 metres. After being dormant for over a century, it erupted violently in 1965 and has been erupting continuously since then. 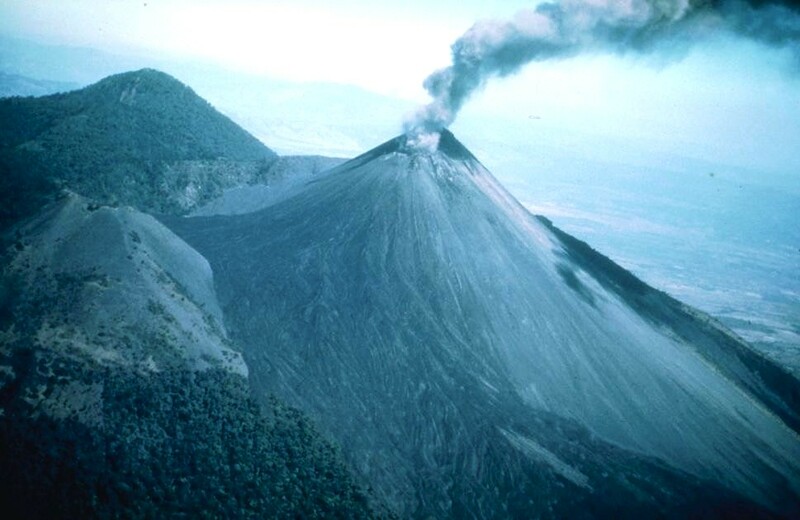 It last erupted on March 2, 2014 causing ash to rain down in Guatemala City, Antigua and Escuintla. Antigua is an extremely artistic town and is a great hub for those who wish to enjoy adventure activities, bird watching as well as gastronomical delights. La Noche Barroca or the baroque night is an experience which should be planned as part of your itinerary and comprises of fireworks and culinary experiences the Guatemalan way filled with joy and festivities. 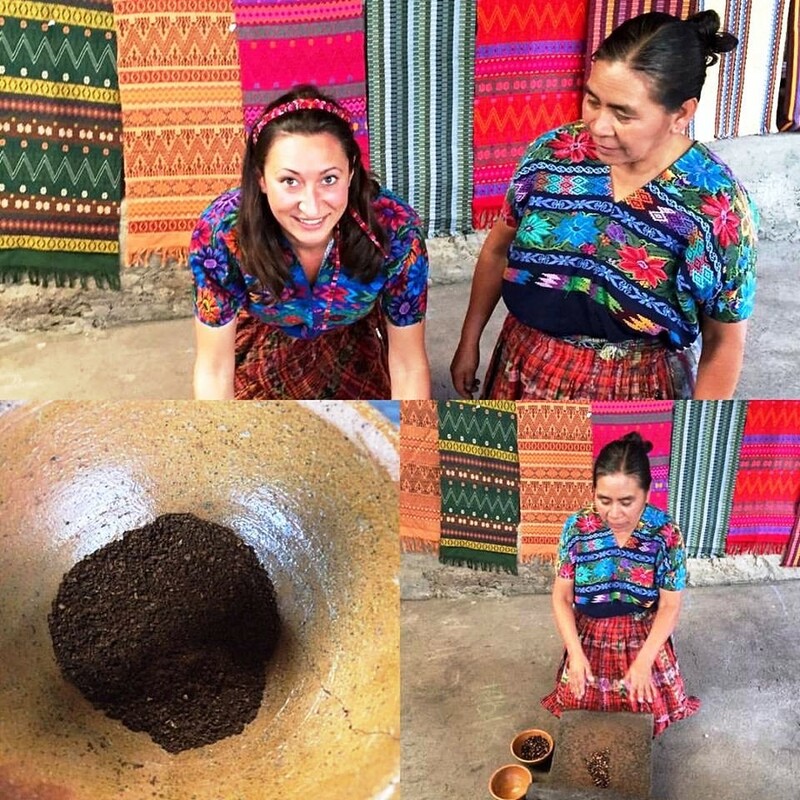 I had opted for an Adventure tour of Guatemala and this included cycling on one of the days and after cross country cycling for about 12 kilometres from Guatemala we stopped at Santiago Zamora known for the home made textiles. We spent a good couple of hours to see the fine art of hand made textiles by local Mayans before making our way to Valhalla known for its Macadamia nuts farm tour. 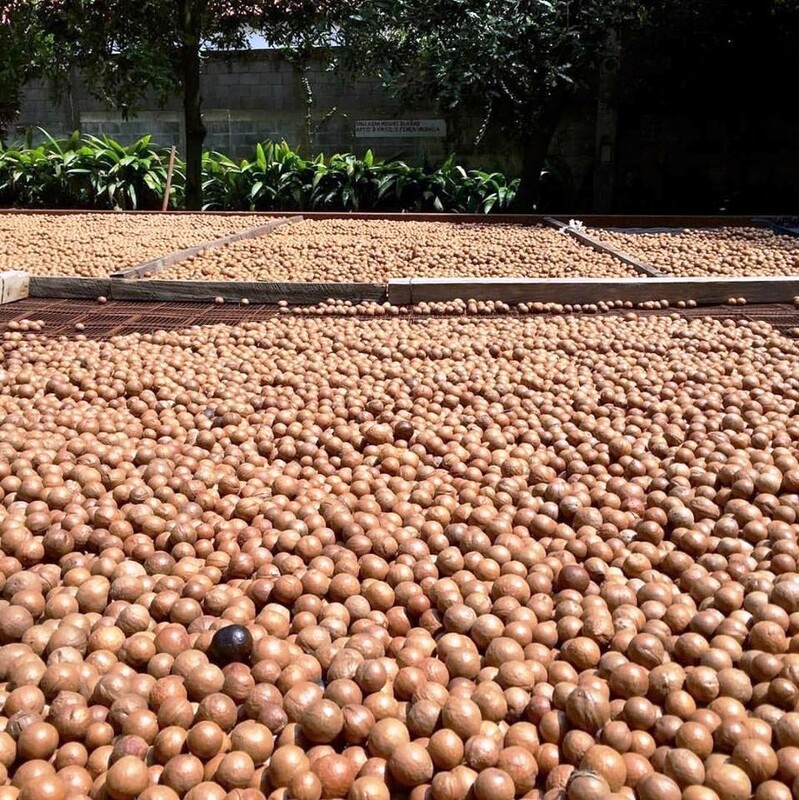 An interesting trivia is that Nivea and Lancome – the world class brands pioneered Macadamia oils and products for facials buy from the farms at Valhalla as well as the anti-ageing cream which comprises of 24% macadamia nuts. Post a lunch stop at Macadamia farm, we had a stop at De La Gente where we experienced coffee tasting besides hearing stories of a local farmer who has his coffee plantation and narrated the various stages that go into coffee production from growing to harvesting to processing, sorting, roasting, packaging and marketing. The harvest season extends from December to April once the cherries are gathered and put in water. Once the coffee is produced the farmers working at San Miguel cooperative export the produce with the help of De la Gente – a cooperative that has grown over 10 years starting with 7 people and now supports farmers which comprise over 80% of the people living in the town of San Miguel. 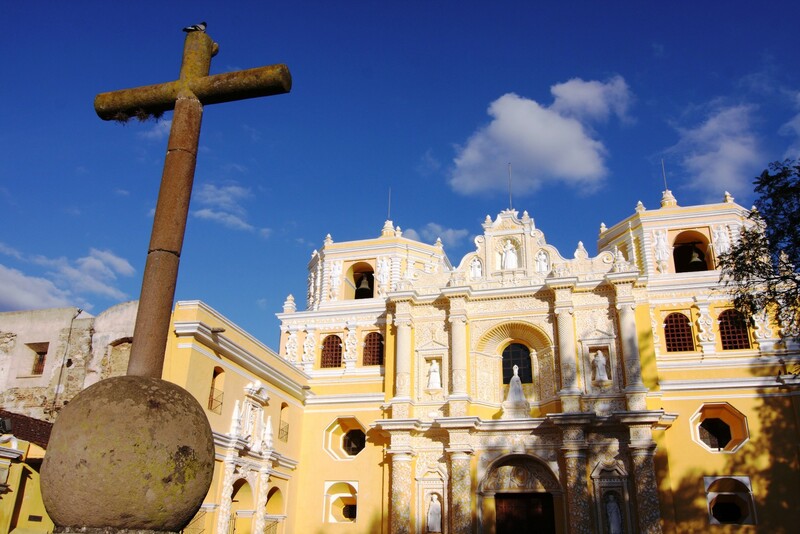 One of the other highlights of Antigua Guatemala was a visit to the 450 year old Iglesia de la Merced – an iconic church with baroque details including stucco carvings of saints and coffee plants on its dazzling yellow facade. Thanks to the Embassy of Guatemala in India and to the Guatemala Tourism Board (IUGUAT), I had the most amazing and diverse 4 days in Guatemala – covering only 2 of the 7 regions and wanting to explore more of this wonderful country comprising of 22 provinces, each with its own Mayan dialect, over 3000 archeological sites, over 720 species of birds, with diverse vegetarian cuisine and the friendliest people of the Americas and one of the safest countries of the Americas, which I would highly recommend for you to include in your bucket list of destinations to visit in the near future.